Think outside the box, change, evolve. These are attributes we want to embrace as we take Lions into our new century of service. Using technology to make reporting easier, adding fun new projects and developing ideas for meaningful service are all our aim. One exciting new project in District G is the Sterling Night in Monaco New Year’s gala. The Arlington Lions Club, in partnership with the Arlington Chamber of Commerce, is busy planning this four-county event. The inaugural gala will be held on the upper level of the Gronquist Building in Arlington. From 8:00 p.m. to 1:00 a.m. attendees will enjoy the Monte Carlo Casino, live music, hors d’ oeuvre and a bar. The highlight of the evening will be the coronation of the Prince and Princess of Monaco who will herald the New Year. For the event, transportation coverage for a 34-mile radius will be provided by local transportation units. It’s equally important to hold onto Lions traditions that have become a special part of community life. Halfway founding members Lions Ken Johnson and Woodrow Bunch began such a tradition in Halfway soon after the club was founded in 1965. At the time, Mr. Johnson was the superintendent of schools and traveled to educational meetings all over the Pacific Northwest. After enjoying some delicious seafood while attending a meeting on the Oregon coast, he wondered if there was a way to bring this treat to Halfway. And with that thought the Halfway Lions Club Crab Feed was born. The first feed took place 53 years ago and served 300 people. Today the feed serves between 800 and 1,200 people, depending on the year. People travel from as far away as Portland, Seattle and Boise to attend. Many community volunteers join the Lions in preparing for the feed which is held on the second Saturday in March each year. Another important tradition in our district is the Mid-Columbia Follies. Fun and creative, it’s an amazing and entertaining show year after year. And this year’s production, “That’s Country”, won’t disappoint. The musical comedy has a strong singing component for all to enjoy. So, mark your calendar for one of the following dates: April 5, 6, 7, 11, 12 or 13. Shows begin at 7:00 p.m. with the exception of Sunday, April 7, which is a 2:00 p.m. matinee. Five mid-Columbia clubs, Hood River Eyeopeners, Hood River, Odell, Columbia Gorge and The Dalles, support the effort through ad sales, ushering and program design. Zone Chair Terry Tyler has written the script for the last five years. Lions Bev Bridgewater and Trudy Tallman have been involved in the production since its inception. In its 43rd year of production, the Follies benefits the Oregon Lions Sight & Hearing Foundation and has raised $348,000 for the Foundation to date. And on another note the District G Convention “Take 2” has been rescheduled for April 19 and 20. An unseasonal snow storm postponed the convention. But the show will go on, just at a later date. For more information, see the related article on Page 14. Lions Club International Foundation (LCIF), our Foundation, celebrated its 50th anniversary in 2018. Are you aware of the mission of our Foundation? “To support the efforts of Lions Clubs worldwide in serving their local communities and the world community as they carry out essential humanitarian service projects.” Since its inception in 1968, the Foundation has strived to sustain Lions’ humanitarian service goals by awarding over 12,000 grants totaling more than 1 billion USD. · Vision – Our Sight First program has played a key role in reducing global blindness by building comprehensive and sustainable eye care systems. · Disaster Relief – Whenever and wherever disaster strikes, Lions are among the first to offer aid. · Humanitarian – By identifying the world’s most crucial needs, the Foundation supports humanitarian efforts that transform the lives of people around the world. · Diabetes – Initiatives and programs have been developed to educate communities and to improve the lives of those living with diabetes and prevent others from developing the disease. · The Foundation strives to help Lions make huge strides in providing meals and nutrition to those in need in the hope that one day no child will ever have to live without knowing when their next meal will come. · From recycling programs to ensuring all areas have access to clean water, were working hard to ensure that we keep the earth in its best condition for generations to come. · Childhood Cancer – In order to help children all over the world who have been diagnosed with cancer, we’re supporting projects and initiatives aimed at improving their quality of life. LCIF is currently conducting a three-year capital campaign called Campaign 100. The goal is to raise $300 million USD to increase the service capacity of Lions worldwide. As we approach our club budget cycle, please remember LCIF. I encourage you to consider making a donation to LCIF either individually or as a club. So you want to serve your community. What can you do individually? Many things. You can sign up for this project or that event with a different group or agency. But our ability to serve increases exponentially when we join like minded people in an organization such as Lions. And while we seek to serve the individual needs of our own communities, as Lions we are uniting our global service efforts around five areas of need; diabetes, vision, hunger, environment and childhood cancer. Remember, International President Gudrun Yngvadottir has asked all clubs to add one new service project this year. So if you’re looking for a new project, please consider one of the areas listed above. Imagine being surrounded by over 20 vintage aircraft, most of them World War II era and most of them in flying condition as you listen to Alison Perry, founder of the Central Oregon Veteran’s Ranch describe the concept and development of the 19 acre working farm for veterans. Perry will be the keynote speaker for the opening of the District G Convention. In addition, that afternoon museum tours will be offered and a fun airplane toss game to test your flying accuracy. Musical numbers preformed by Lion Michelle Shank will be featured along with the music of the Box Canyon Bluegrass Band (Madras Lions President Christy Brown is a member). The next day the convention moves to the Inn at Cross Keys Station. International Director Gwen White of Columbia, North Carolina, who also serves as Executive Director of the Visually Impaired Persons Fishing Tournament, will be our keynote speaker. Gwen will be joined by many other interesting speakers throughout the day. Registration forms can be found on the MD 36 Lions website, in the January 2019 Oregon Lion or one can be e-mailed to you. Please contact me at pascarlin@gmail.com if you need a registration form. We look forward to seeing you in March! Happy New Year Lions. “Tis the season for resolutions and if any of you are making learning more about Lions and Lionism your New Year’s resolution, many training opportunities abound. The Northwest Lions Leadership Institute is a seminar designed to develop and enhance leadership skills that will help foster communication and team building in a rewarding learning environment. You’ll explore leadership roles as a strategist, manager, communicator, mentor and team member. Many participants have gone on to be successful project managers, club officers, zone chairs, district governors and community leaders. From “Motivating Club Members” to “Public Speaking” to “Time Management”, many interesting topics will be presented. The Institute will be held on April 26-28, 2019, at the Quality Suites in Keizer. Applications are online at md36lionsclubs.org. The USA/Canada Leadership Forum is designed to develop leaders, motivate and educate attendees and provide an open exchange of ideas which support programs and goals of Lions Clubs International. The good news is that the forum will be held in our neck of the woods, in Spokane, Washington. There will be four keynote speakers during the three-day event as well as many great seminars from which to choose. To top it off attendees will enjoy music of the High Street Show Band, featuring music from the ‘60s ‘70s, and ‘80s. The forum will be held September, 19 -21, 2019 and you can register at lionsforum.org. Are you ready to go back to school? Lions University, an online program offered through the USA/Canada Lions Leadership Forum, affords you that opportunity. As a Lion you know that building strong communities through volunteer service is our objective. Lions University is about making sure that you have the skills and resources to do this. You can graduate with a Bachelors, Masters and even a PHD from Lions University. Diplomas are presented at the USA/Canada Leadership Forum. However, you don’t have to attend the Forum to participate in this program. Register at lionsuniversity.org. By asking each club to add one new service project, Gudrun encourages us to discover a new level of service. Many clubs in District G are stepping up to the plate. Burns is distributing reading glasses to those in need. Elgin Lions have taken on the care of Pocket Park, which can be seen as visitors enter Elgin. Bend Sunrise initiated a highway clean-up project. On their first clean-up they picked up a “mountain of trash”. Thanks for making that roadway look so much better! And let’s not forget those wonderful holiday service projects. The Pendleton Club serves the food at the National Guard Christmas Party. Donations from the club support both gifts for the children from Santa and food for the party. The Westin-McEwen Club sets up a Christmas Village in the large display window of the local grocery store. Festively decorated with figurines and lights, the village provides joy for the children during the holidays. The Prineville Lions, in partnership with The Prineville Parks and Recreation Department, co-hosts a day for children to make presents with provided materials. The Prineville Lions serve lunch at the event. In support of families with children suffering from cancer and other illnesses, I would like to reinstate a district service project started by PDG Herald Hopkins four years ago. That is to pull tabs from aluminum cans for the Ronald McDonald House in Bend. Some clubs have continued this service. Let’s all join in support of this great cause. Tabs will be weighed and presented to a representative from the Ronald McDonald House at convention. Prior to the presentation, pull tabs will be weighed. Their weight determines their value. My fellow DG Dan Wolf came up with a great service project idea. In each district we will be collecting donations of gently used purses along with toiletries and feminine hygiene products. Those little shampoos that you get at hotels are perfect for this project. As a hands-on service project at the district convention we will be filling the purses, which will then be distributed to agencies in our district where there is a need. And one final note, President Gudrun acknowledges the importance of promoting the fellowship of Lions.“Friendship is the key component of Lions.The relationships we develop are lifelong and create ties that make our service strong.”We join Lions to serve, but the organization gives back to us in many ways.Strangers become acquaintances; acquaintances become friends; these friendships become lifelong.Happy Holidays to all my friends in Lions. Tis’ the Season. Are you starting to get in the holiday spirit? I know I am and I bet you are too. Soon many of District G clubs will be involved in holiday projects. The Hood River Valley Leos annual “Hit and Run Santa” program will soon be underway. The Leos shop for both children and parents from five families referred by local service agencies. Before their December meeting, the Leos gather to wrap presents and enjoy a pizza party. After the meeting and under the cloak of darkness, the Leos take the presents (now bundled by family groupings in large sacks tied with red bows) and place them on each family’s doorstep. They knock and then run and hide while the recipients find the gifts that Santa has left behind. Convention Season Follows. Following the holiday season, it becomes convention season for Oregon Lions. Districts O and R will hold their conventions in February, followed by District G and E in March. Mark your calendars for March 1-2. Madras, Oregon, will serve as the host city for the District G Convention, which will be held at the Inn at Cross Keys Station with Friday’s opening banquet at Erickson’s Aircraft Collection. Erickson’s is the home of an amazing vintage WWII aircraft collection which features the B-17 Flying Fortress, the Madras Maiden. International Director Gwen White of Columbia, North Carolina, will be the featured speaker on Saturday. In addition to serving an International Director, Gwen is the Executive Director of the Visually Impaired Persons Fishing Tournament, which is the largest service project of its kind in the world. The three-day event attracts more than 350 visually impaired persons, 130 sighted guests and 300 volunteers each year. From humble beginnings, with 15 participants, to the event it has become today, Gwen will inform us on how to organize and execute a really big service project. On Friday, Alison Perry of the Central Oregon Veterans Ranch will be the featured speaker. Four years ago the Ranch was an idea and now it is serving veterans of central Oregon. Registration forms will be coming out soon. We hope you can attend. We Serve.International President Gudrun Ynvadottir believes there is still a world of service yet to be reached, even in Lions.She is encouraging us to reach within ourselves to do more and is asking all clubs to add one new service project.With November being Diabetes Awareness Month and January Hunger Awareness month, both themes offer ample ideas and opportunities for service. “Together we can.” Yes, that’s my theme and it’s my belief as well. I love competition. Not the serious win at all costs type of competition, but fun competition. And in that vein, allow me to introduce “Membership Madness” our District G membership growth contest. Kicking off on October 1st, “Membership Madness” encourages membership growth and friendly competition among clubs. Members gained will be taken as a percentage of your October 1 starting membership. The winning club will receive a “Central Oregon” gift basket valued at $500. Details have been e-mailed to club presidents and secretaries. Please contact me if you haven’t received information. Nobody told me that visiting clubs would be so much fun! What I’ve found out from club visits to date is that we’re all alike and we’re all different. Just as people have different personalities, so too do clubs. Yet we all have common desires and aspirations; to serve members of our communities and to make our communities better places. It’s fun learning first-hand how our clubs serve their communities in many unique and wonderful ways. Recently International President Gudrun Yngvadottir challenged clubs to go beyond their horizon (or their comfort zone) and add one new service project. Hats off to the Bend/Sunrise Lions who have added a new service project already. On September 15th club members conducted their first road clean-up. During the Jordan Valley Lions “We’ve Got You Covered” campaign members collect children and adult hats, gloves, scarves and coats for area homeless shelters. These Lions also maintain and care for a wonderful clubhouse, which I had the opportunity to tour when visiting Jordan Valley. With outstanding community support, the Three Sisters Lions recently held their very successful Annual Yard Sale. While the project is a fundraiser, it is also a service project with left-over items going to Three-Rivers Humane Society, the Family Kitchen of Bend and the Opportunity Foundation. As this event wraps up planning begins for their Christmas Bazar, which will run through December 16th. As if cooking for 900 people for a week at the Oregon Star Party wasn’t enough three weeks later the Prineville Lions fired up the grills again for the Central Oregon Country Music Gathering. Three fundraisers in one month, whew. That’s what August looked like for the Prineville Lions. Lions New Century Leadership Training will be held on Saturday, October 13th in The Dalles and October 27th in La Pine. The workshop is designed with all Lions members in mind. We hope to see you there. Gudrun Yngvadottir took the reins of the world’s largest service organization at the Lions International Convention in Las Vegas, becoming the first female president in the 101 year history of the organization. She is also our first president from Iceland. Gudrun became a Lion in 1992 and has held many offices and received many awards, including the Ambassador of Goodwill, the highest honor Lions Clubs International bestows on a member. She is a wife, a mother, a grandmother, a biomedical research scientist, a university administrator and to top it all off, a Lion. I ran into her in the restroom at the end of a very long day, the day before she was to be installed as our 101st president. I said to her, “You are going to do such a fantastic job.” She hugged me and thanked me, treating me like I was an acquaintance, not one of the 700 plus, nameless district governors assembled at the convention for training. Herein lies her charm; her ability to make people feel special, her ability to encourage and her ability to motivate. Gudren’s nautical theme, “Beyond the Horizon” encourages us to discover a new level of service. If every club added one new service project, as she has requested, 47,000 new horizons would be discovered and eleven million more people would be served. I was thrilled when she chose to emphasize storytelling. I have long believed that telling our own personal story can be a major recruiting tool. I always say that there was the day when we joined an organization and then there was the day when we became a Lion. This is the day when we first understand the concept of Lionism. It is our Lions “aha” moment. The moment when we first believe that through this vehicle (Lions) we can make a difference in our communities and effect positive change. I became a member of an organization in March of 2009 and I became a Lion in December of that same year through my participation in a holiday visitation project for seniors living alone and in isolation at Crooked River Ranch. And since that day, I have never faltered in my belief that through Lions we can make a difference. Did you have your own “aha” moment? I dare say most of you did. Let’s remember to use our own personal service story, sharing the impact Lions has on our communities, as a recruiting tool. And speaking of service, are you aware of the five service focus areas for Lions as we head into our second century of service? They are vision, hunger, environment, childhood cancer and diabetes. 1. Distribute reading glasses to homeless shelters and food banks. 2. Collect used glasses for recycling and deliver to OLSHF. 1. Have guest speakers discuss diabetes at club meetings. 2. Plan a District Strides Walk. Our District G year of service got off to a great start as we donned our sailor hats for the first Cabinet Meeting and chartered our course to go “Beyond the Horizon”. Thanks to the twenty-four Lions who gave up a beautiful Saturday, many traveling long distances, to attend. Thirty-five years ago, with only a piece of paper in hand saying I was assigned to Heidelberg American High School, I boarded a Military Airlift Command (MAC) headed for Rhein Main Airbase in Germany. As a brand-new teacher for the Department of Defense Dependents Schools, I was ready to begin my European adventure. What I thought would be a two-year stint became a twenty-five-year career. I served as a teacher, coach and school administrator, working with America's finest, the sons and daughters of our US military members serving overseas. I met and married my husband Ted and just had one heck of a good time. But all good things must come to an end. One day Ted and I looked at each other and said, “It's time to go home.” My mom had passed away several years before. Ted still had his mom and there was time they could spend together. After our arrival in the US and an initial stop in Texas, where we loaded my grandmother's desk and my mother's marble topped tables into a U-Haul, we were off. After driving half way across the country, we arrived at Crooked River Ranch on a beautiful summer afternoon. A month or so later our household goods arrived and we set up our home. Soon that task was completed and we looked at each other and said, “What do we do now?” With little direction and no idea what the future would hold, we took off driving on numerous road trips in central and eastern Oregon. On the days we couldn't figure out what to do, we were off. It was on these early trips that I saw Jordon Valley, the Owhyees (I was amazed) and Baker City, to name a few. Soon I will be heading out in my little red Mini Cooper back to these places and more. But this time it will be with intent and purpose as I visit the clubs of District G and learn the many wonderful things that they are doing in the communities they serve. I can hardly wait! In my opinion, it's a great time to be a Lion. Do you feel the same way? Last year Lions Clubs International celebrated its centennial. Many clubs across the state participated in the centennial through special legacy projects. Be it a small project or large, these legacy projects were gifts to the communities our clubs serve. As I travel through the district I hope to see many of our clubs' legacy projects. I know I will be amazed. But our celebration continues as this year we celebrate the 50th anniversary of the Lions Club International Foundation (LCIF), the charitable arm of Lions Club International. During times of disaster, LCIF is there. On humanitarian missions, LCIF is there. Through partnerships with other charitable foundations, much good has been done. Through the One Shot, One Life Measles Initiative, and in partnership with the Gates Foundation and others, Lions have worked to ensure that vast numbers of children have been vaccinated for measles. Through a grant awarded to the Carter Foundation, river blindness is near eradication in Latin America. Our district itself has benefited greatly from LCIF grants. Assistance with funding for projects such as the vision clinic in La Grande and the ambulance in Burns, LCIF has helped District G through matching grants. But I am especially excited as this year Lion Clubs International welcomes its first female president, Gudrun Yngvadottir of Iceland. I first had the privilege of hearing her speak at the USA Canada Forum in Portland last September. She is one of the people that you instantly like. I am always amazed when speakers deliver a talk in a language that is not their native tongue. Her delivery impeccable, her message motivating and inspirational. She challenged us to encourage clubs to complete service projects that have been on the back burner, ideas that we have been contemplating. Her goal, to encourage us make our ideas reality as we strive to turn these ideas into action to better serve our communities. If you would like to hear her, Yngvadottir will speak at the USA Canada Forum in Columbus, Ohio, this September. There's still time to sign up! Well, I guess it's time to check the oil and the tires, fill up the gas tank and get ready to roll. To the Lions Clubs of District G, I can hardly wait to see you, to meet you. I can hardly wait to be “On the road again”. What a wonderful Lions Year!!! Yes, it has been hectic, time-consuming and difficult at times to schedule meeting with all the clubs. But being Governor for this great District has been so rewarding. We have some of the best Lions in our clubs. They are hard-working, dedicated to service and willing to go above and beyond to get the job done. I want to thank everyone for the warm welcome I received when visiting each club. Your hospitality made my visits so easy and pleasant. As many of you know, I am not good at public speaking and don’t do well in crowds, but Lions make you feel at home. We are truly a huge extended family. I hope anyone who has thought about moving up will be given that chance to do so. All you Presidents and Zone Chairs who have been in those positions for years, please step down and give someone else a chance to move forward. You might be surprised at how well they can do the job. Yes, it might not be done the way you are used to, but change can be a good thing. Now, back to business. Has everyone finished their Centennial Service projects? We still have until the end of June to get these projects finished. Are you continuing projects in other service areas? Remember our areas of service are: Sight Preservation, Fighting Hunger, Environment, Diabetes Awareness and Pediatric Cancer. Are all your project reports, your new officer reports (due May 15th) and membership reports turned into LCI? Let’s try to see if we can get 100% turned in by June 30th. To all New Presidents: Standard Club Structure is: President, Immediate Past President (IPP)(LCIF Coordinator), First Vice President (Global Leadership Chair)(GLT), Second Vice President, Secretary, Treasurer (Finance Committee Chair), Global Membership Chair (GMT), Global Service Chair (GST), Marketing Communications Chair (Public Relations), an Internet Technology Chair (IT), Lion Tamer and Tail Twister. The GLT, GST & GMT make up the Global Action Team (GAT) for your club. These people will report to the District GAT who, in turn, will report to the MD GAT. Don’t you love all these acronyms? This means that each club should have at the very least 12 members. Now remember, you also need people to be on the committees for each of these global initiatives. In order to call it a committee, you need at least 2 people, so now we are up to 18 members. We have 12 clubs in our District that do not have at least 18 members, so let’s see if we can at least change that by October, which is Membership Month. As of April, we only have 31 clubs and 883 members in our District. Let’s all help DG-Elect Phyllis and get one new member each. With all the District Conventions behind us, everyone should be rested up and hopefully back to normal by now. I am always so pumped after attending a convention. I always learn something new or a better way of doing a project or fundraiser. Having so much fun while seeing old friends and making new ones warms my heart. While working with the Milton Freewater Lions Club for several years at their major fundraiser, I often heard them talk about how the Lions were an extended family. It kind of went in one ear and out the other until I finally gave in to my Mother and joined the Weston-McEwen Club. It took going to my first convention to realize that Lions are family and we should all be doing everything we can to get others to join. If we were all to follow PDG George Sahlberg's example and 'just ask' people to join, we might be able to get back to the 1250 members that we need to keep our District going. For those of you who don't know, George has personally sponsored 129 members. He has been a Lion for 38 years, which means he has sponsored at least 3 or 4 people each year. District G has 877 members at last count and probably a little over half of that number are active members, so about 440 of us can get at least one new member this coming year. That will put us over the amount of members needed. So, I am challenging all members, active or not, to sponsor at least one new member from now through February 30, 2019. I will personally recognize everyone with at least one new member at District G's Convention on March 1-2, 2019 in Madras. Also, we need to do club surveys and find out why we are not retaining the membership that we have. We are losing half again as many members as we are getting new ones. Our GAT Team will be working on some get-togethers in several zones to help with officer training, membership, service ideas and the importance of rotating officers. Many of our clubs not only need new members but also need members to step up into leadership positions to give a break to that president or secretary who has been there for years. New leadership brings new ideas, new vitality and new energy to clubs. So please think about stepping up. We need you. Well, District Conventions are over for this year. Did everyone have a good time? I missed O and R due to sickness, E and G (for which I had no voice), were great. For those of you who made it to the District G Convention, I just want to thank all of you for attending and didn't PCC Bob Guerrant do a great job filling in as MC? He was probably better than I would have been. He is so funny and such a natural speaker. And a special Thank You to ID Alan Lundgren and Terry Pressel. They are true examples of what Lions should be. For those of you who are wondering, we made $551.00 for the school screening program and $485.00 for pediatric cancer. And I was finally able to talk (only a little raspy) on Thursday. Lousy allergies. Although memberships are down in each District, we should all be revitalized after attending our respective Conventions. So let's get out there and get some new members. It might mean changing the time of one or more of your meetings or even communicating through texts or emails, but do whatever you can to get some of the younger people to join your club. They can offer new ideas and new energy to our meetings. Don't ever say, "We tried that once and it did not work". New ways of doing things can really make a difference for old or outdated projects. Give these new members the rein and let them try. It may surprise you and, if it doesn't work, so be it. Move on to something else. Remember, these younger people are used to a faster paced life style, so keep them busy. Some clubs even have family meetings, where the children are playing in one corner, the Leos meeting in another and Lions meeting in yet another corner. Our Club is lucky enough to have a back room for the youngsters and we supply the babysitter, if needed. I hope everyone is planning on going to the MD36 Convention in Eugene in May. This will be my last official Convention, so it will be kind of bitter-sweet, but it sounds like it will be a lot of fun. Also, remember to get all your Centennial Projects finished and turned in to Sharon Rawlins, MD36 Centennial Chair. And we still have 2 statewide service projects to do: Protecting Our Planet, April 21 - 23 and Pediatric Cancer Donations, June 3 - 9. Hopefully everyone has finished the other 4 and turned your hours in to Lion Rod Bach, MD36 GST Chair. If not, now is the time to get them done. My Club is waiting until the weather is warmer to do our food drive. I'm getting to be a wuss. I trust everyone made it through all District Conventions. I hope you all learned something that will positively impact your willingness to help others. Maybe that lightbulb lit up and you thought “Wow, this is really what Lions are all about”. I feel that way every time someone comes up to me and says, “Thank you, the Lions helped me, or my child or relative or friend.” The warmth that goes through me is something I hope everyone has felt at least once during their time as a Lion. I would like us all to stop, take 5, 15, 30 minutes or however long it takes and think about the reason you joined Lions in the first place. If you are like me, it was to serve others without asking anything in return. I have overheard people complaining that they didn't get recognition for something they did. Maybe it was an oversight of the chairperson or president, but that is not why we are Lions. When a new member comes up with a new idea, try it. If it works, great. If not, try changing it a little bit or maybe move on to something else, but Do Not say, “We tried that once and it didn't work.” That is the quickest way to ruin the enthusiasm of new members. The biggest complaint all clubs have is attracting and retaining new members. Why? What are we doing wrong? Too many of us are stuck in our old ways and are not willing to relinquish our positions in the club or District. Sit back and think how nice it would be for someone else to do most of the work and maybe get the pat on the back that encourages them to stay in the club and maybe move up to new positions in our Districts. We are all having trouble filling these District positions. Let’s give those new members a chance to prove they joined to serve others also. I am looking forward to someone else being governor. I will be there to help all I can, but it is their goals I will work towards now. We all need to be there to help guide the newer members, but let's let them take over the helm for a while. I trust everyone got through the holidays safe and in one piece. This year, everything for my family was very quiet and peaceful. Hopefully you all have set your New Year’s Resolutions and are staying true to them. My resolution this year is to do more community service. I have had to slack off the past few years, so I am really going to work on it this year. My Club will be working on a Pediatric Cancer Walk in June and we will be handing out information on Diabetes Awareness at all of our functions. Also, a canned food drive to replenish our local food banks is scheduled. Along with the food, paper products are also handed out. Facial tissue, paper towels, toilet tissue, feminine products and diapers are really appreciated. We are working on a Community Health Screening and Vision Screening at our local schools again this year and helping keep our City Parks and roadways clean and beautiful are also on the agenda. In addition, we sponsor 1 or 2 meals at the Senior Center each year as well as delivering Meals on Wheels each week. Most Senior Centers can really use help cooking and delivering meals. Remember to always have membership packets with you. It seems that at all the functions we do someone is interested in learning about Lions and maybe joining a club. I also carry membership packets and eyeglass and hearing aid applications in my car. At least once a week someone sees my Lion magnets and asks for help or information on Lions Clubs. I hope this gives you some ideas on a few service projects that your club might want to try. Remember, our motto is 'WE SERVE". Let’s make this year the best service year yet. I hope everyone had a great holiday. Mine was pretty quiet as the only relatives I have in this area are my sister and her children. Still, we had a good time with lots of food as usual. All the clubs have been busy with food baskets for those in need, community dinners, shopping with area kids, pictures with Santa and holiday bazaars and raffles. Many are having Christmas Parties and gift exchanges. Elgin has a Homemade Gift Auction each year. I only have two clubs left to visit and it is kind of bitter sweet to finish. I have really enjoyed seeing old friends and making new ones. Every club has been great welcoming my visitation and listening to my message. Many clubs have asked questions about our new areas of service and are looking forward to doing projects in these areas. The Weston-McEwen Club is planning a Cancer Walk for Pediatric Cancer in June. We have a silent auction and raffles scheduled during District G's Convention and all proceeds will be donated to Pediatric Cancer. We still have four service projects that Multiple District Service Chair Rod Bach, has lined up for participation by all clubs. They are Service to Fight Hunger, Homeless Reading Glasses, Protect Our Planet and Pediatric Cancer Donations. I am hoping for 100% participation from District G Clubs. Remember, we still have until June 30th to finish any Centennial Service Projects that are in the works. Hope to see everyone at District G Convention, March 2nd and 3rd. Friday night is a 'Sadie Hawkins' theme and Saturday night is Western Dress. I have been staying busy visiting clubs and learning so much about the true meaning of Lionism. 'Loving Individuals Offering Needed Service' does not come close to describing the Lions of District G.
These Lions are helping hundreds of people get glasses and hearing aids yearly; they donate food and paper goods to local food banks as well as hundreds of hours working at them; they spend hours cleaning miles and miles of roadways and they award thousands of dollars in scholarships each year to deserving students. With Thanksgiving coming up, I ponder on what I am thankful for and my number one answer is being coerced by my Mother into joining the Lions. It has been a very unusual journey getting to where I am right now. I joined thinking I was going to help the Weston-McEwen Lions Club grow stronger and get a few new members, then I would fade into the background and let someone else keep it going. Little did I know that I would soon take over as President, Zone Chair and now DG. It didn't take long though for me to realize that joining Lions would be one of the best things that I've ever done and it will now be a lifetime commitment. The feeling I get whenever I help someone else is so satisfying. I wish I could feel that good all the time. Also, I've realized that I have gained a ‘Family’ of outstanding Lions who are dedicated to serving others. I know that wherever life takes me, I will be able to find ‘Family’. For now, I would like each club to email me all the pertinent information (e.g. how they are done) on one or two of your fundraisers and community service projects. I will work on getting an up-date booklet compiled and distributed so other clubs can get ideas of projects that they might like to try doing in their area. I hope everyone is planning on coming to District G Convention, March 2-3, 2018, and that you are all working on decorating your boot. I'm letting everyone know ahead of time that Friday night is a “Sadie Hawkins” theme, so plan on having some fun! Wow! It’s hard to believe almost one-third of my year is gone already. I think the older we get, the faster time goes by. But I believe that staying active and having fun is the key to a successful long life. I guess that means most of the great Lions I have met will live forever. I have visited almost half of the outstanding clubs in District G. They are so dynamic; from collecting used glasses and hearing aids or aluminum cans and bottles to helping care for our veterans at the local Veteran’s Home. Most of our clubs are busy this time of year doing school vision screenings. Several are preparing for Trunk-or-Treat for the kids on Halloween or collecting turkeys and can goods for the Thanksgiving food baskets that they distribute to those in need in their communities. Two clubs sell pears and apples as their major fundraiser and a few are busy making items to sell during the holidays. One or two are taking a break through the winter. On the home front, our Club just finished the third and final Centennial bridge at Meadowood Springs Speech & Hearing Camp. If any clubs are still working on Centennial projects, you have the rest of our Lions year to complete them. Remember to report your projects and hours to District G Centennial Chair, PDG Paul Zastrow, Multiple District Centennial Chair, PDG Sharon Rawlins and to LCI. Oh my, being a District Governor is very hectic but so rewarding. Getting to see all the great service our clubs are providing in their communities is a learning experience in itself. I have had the pleasure of visiting 4 clubs so far. The first Club was, Hood River Eye Openers, where I was treated to breakfast and heard about their directing car parking for different events, their Families in the Park project and all the meals they cook and serve at different area functions. They stay busy providing service when and where it is needed. Then after spending not nearly enough time at WAM and seeing all the vintage planes, automobiles, motorcycles, toys, cameras, phones and everything else, I had lunch with the Hood River Club where I heard about their can and bottle recycling project, the many scholarships that are awarded to deserving youth in the area and the funds they allot to other local non-profits to help them in their support of the community. The things this Club does is phenomenal. Unfortunately, because of these devastating fires, I was not able to visit the Columbia Gorge Lions Club. My prayers go out to all of them and to all the other clubs that have been affected by these fires. May God keep everyone safe. My next visit was lunch with the wonderful Madras Lions Club. They are busy working on their biggest fundraiser, in which they sell flags to local merchants and then put them out in front of all the businesses on patriotic holidays throughout the year. It's a beautiful sight seeing all those flags waving in the breeze. Then it was down to La Pine. They are one of the busiest clubs in our District. They have some sort of project going on in the community every month. They do can and bottle recycling in partnership with their Leo Club and are working on their 10th Annual Golf Tournament that they co-sponsor with their branch club, the Three Rivers Lions. And they just inducted 5 new members and have 3 more applications awaiting approval. I have 5 more clubs to visit this month, 16 in October and the last 6 in November. Wow! What a ride! Because of conflicting schedules I am changing my third Cabinet Meeting to Feb. 17, 2018. Depending on the weather, the November and February meetings may be phone conferences. We want everyone to be safe. Our International Convention was great. The training sessions were very helpful for all incoming DG's. We should all be strong leaders. The Parade was remarkable and the entertainment was fabulous. LCI has videos of everything, so check them out. All the wonderful Lions from over 210 countries were outstanding. We all made so many new friends and learned so much from their experiences in Lionism. It was definitely a memory for a lifetime. I am starting my year off rather slowly, as I have been busy helping my Club build another bridge at Camp Meadowood Springs and when it's finished it will be time to prepare for the USA/Canada Forum in Portland. If you are not registered, please consider doing so now. It will be an amazing experience if you are a first timer or a repeat attendee. The Forum committee has gone out of its way to make this year one of the best ever. I look forward to starting my visitations in early October, so be prepared. Remember, I will be bringing a boot for each club to decorate and bring to Convention, March 2-3, 2018 at Wildhorse in Pendleton. We already have 3 great prizes for the winners. First thing I want to say is THANK YOU to Lion PDG Judith Poage for the great year. She accomplished so much in our District this past Lion year, it will be hard to follow in her footsteps. Our International theme this year is ‘We Serve’ and our Multiple District theme is ‘Moving MD-36 Forward’, so for the foreseeable future our Global Service Areas will be: Vision, Hunger Relief, Environment, Diabetes and Pediatric Cancer. These are 5 areas where we can all do some great service. I'll be putting my “Boots” on and kicking into service as soon as I get back from the “Windy City”. My theme this year is “Bringing Others Opportunity Through Service”, hence ‘Boots’. When I visit each club, I will be bringing a boot for your club to decorate and bring to convention on March 2-3, 2018 at the Wildhorse in Pendleton. The top 3 winners will get a special surprise. * April 7, 2018, from 10am-2pm at Bob's Texas T-Bone Restaurant in Rufus. Wow! The year is coming to an end. Through this column, I have noted many of our clubs’ special projects, events and special Lions. From one end of District G to the other your service to your community and to the world is undeniable. I am humbled by the accomplishments of our 31 clubs and by the hospitality shown to me. The visitations ended with many new friends and new ideas. I learned from all of you. Thank you to my fellow DGs and their camaraderie. Thank you to 36-G Cabinet officers and all of their support (including a Cabinet meeting, leadership training and charter night all at the same time and place- -who thought of that). Thank you to club presidents and secretaries who helped with my scheduling and kept the clubs notified. Thank you to club members and your welcoming ways – you are Lions at heart. I am grateful for the opportunity to meet you and become lasting friends. I am grateful for the visitations to your clubs. I am grateful to witness the service you do for your communities. I am grateful for the opportunity to serve you. My Hat is off to District 36-G Lions!! Our hats are off in honor of our oldest clubs in District 36-G. Their years of service exemplify our motto “We Serve”. With 91 years of service to their communities, we thank the Bend Sunrise Lions and their current President Russell Chase and Secretary John Pasma. Bend Sunrise was chartered on 11/05/26. Also with 91 years of service, we thank The Dalles Lions Club and their current President Michael Kilkenny and Secretary Kristen Harmon. The Dalles Club was chartered on 11/15/26. The Past District Governor during the charter of both Clubs was PDG R. W. Hodgkinson of Portland. With 88 years of service to their community, we thank the Baker City Lions chartered on 08/29/29 and their President Christopher Knoll and Secretary Sony Vela as well as the Enterprise/Joseph Lions Club with their President Jerold Hustafa and Secretary Brian Oliver. Enterprise/Joseph was chartered on 09/09/29. Also on May 2, 1929, La Grande Lions Club was chartered. We thank them for their service and their President John Howard and Secretary Ryan Hildebrandt. The Past District Governor during1929 was Lloyd T. Reynolds from Salem. Serving their communities for 79 years is Hood River Lions Club with current President John Rust and Secretary Pam Chandler. The Club was chartered on 08/09/38. That same year on September 20, the Prineville Lions Club was chartered. We thank them and their current President Bradford Larkin and Secretary Barbara Bayless. The Past District Governor during the chartering was C. A. Marsh of Portland. Currently celebrating a special 75 year anniversary is the Burns Lions Club with current President Peggy Yarbor. Burns Lions Club was chartered 03/27/42 by Past District Governor Frank G Clark of Portland. Currently Burns Lions provide exams, glasses, hearing aids and closed caption decoders to local children. They also provide academic, vocational and music scholarships to local students with an annual average of $60,000 in scholarships to Burns and Crane students. The Club also supports the Harney County Senior and Community Service Center, Harney County Food Bank, food baskets at Thanksgiving and Christmas, Rise & Shine Community Cleanup, Mobile Health Screening, and improvements to parks and streets. Their fund aisers include concessions at the Demolition Derby and Harney County Fair, Rodeo and Racemeet. They host an annual Fly-in Breakfast at the Burns Municipal Airport. Our congratulations to Burns Lions Club in the celebration of their 75th year of service. And thank you to President Peggy Yarbor, and Secretary – PDG George Sahlberg. Lions of District 36-G and Lions of Multiple District 36 thank all of you for your dedication, leadership, inspiration and service! ROAR! District 36-G Convention is completed. And, I was so inspired by enthusiasm, encouragement and friendship of the wonderful Lions from Districts-G-O-R and E who attended. HATS off to you! The following Hood River Lions pulled everything together: Lion Dave Barringer, Lion DeeAnn Bohn, Lion Pam Chandler, Lion Rachael Fox, Lion Dave Henne, Lion Susan Hoffman, Lion Linda Holloway, Lion Judy Judd, Lion Griselda Ochoa, Lion Nancy Pavlinko, Lion John Rust, Lion Peyt Turner, Lion Chris Voyles, Lion Dave Waller, Lion Stu Watson, Lion Pam Webster, Lion Tony White, Lion Cindy Winfield, Lion Leonard Wood, Lion Tom Yates. A special thank you to my Registration Chair, Lion Shirley Voyles and District IT Chair, Lion Scott Thomson with Lion Greg Simpson. Thank you to Lion Jeff McCaw and Troop 282 for their participation. I must acknowledge the special talents of Lions Follies Director, PCC Bev Bridgewater for creating the special souvenir program (I hope you kept yours); and a thank you to District Secretary and Credentials Chair Lion Trudy Tallman. Thank you to our very own chanteuse, the very talented Lion Kristen Reese. Also a heartfelt thank you to my Convention Chair and all around sidekick, Lion Elaine Johnson. Lion Elaine will surely miss my daily calls!? She pulled it all together and kept me on track – not easy! President of Bend Sunrise, Lion Russell Chase, gave an informative presentation on his Club's Twinning with Lions in Honduras. Twinning is when a club voluntarily adopts a club in another country and they exchange information that aides in the understanding of each other’s culture. Lion Jerold Hustafa, President of Enterprise/Joseph, had every Lion present lining up to enjoy the slopes at their Lions Ferguson Ridge Ski Resort after viewing his slide presentation. Dr. Samuel Kimball of the La Grande Lions Club introduced us to the CHD Community Eye Clinic Project. International Director Jennifer Ware presented Lion Samuel with the Presidential Certificate, which is Lions Club International's fourth highest award. Lion Kimball inspired us all with his vision and service to the community of La Grande. ID Jennifer Ware, our very special guest, also inspired us and encouraged us to service. We will have the opportunity to visit with her again at the USA/Canada Forum in Portland, September 21 to 23. Thank you to everyone who attended, promoted and helped – I am humbled by your service. HATS off to you! The Multiple District 36 Convention is in May and I challenge each of 36-G's clubs to induct just one new member before the convention. If you do, your club will receive a special Oscar at the convention. Oh my – did you hear the rumor that District R is scrambling for an Oscar. Hmmmm! We will be working on a new club in Bend beginning on April 23. The LCI new club specialist arriving to assist us is PDG Ronnie Martin. Watch out District R!! (yes the gauntlet has dropped). We will meet in the Old Mill District of Bend, Oregon to begin the process. Exact time TBA. Our next District G Cabinet Meeting is scheduled for April 15 in Rufus. HATS – Helping Another Through Service. I am not sure when this article will be read by our wonderful Oregon Lions. It may be before the District G Convention or just after. If before – we want to see you there. If after – we thank you for coming. Roar!!! A special thank you to our guest International Director Jennifer Ware. We thank you for your service to Lions, your inspiration and your encouragement. Please visit again soon! Fellow District Governors, do you give out the Bumble Bee Membership Award? This award was created by PDG Jim Stagl of District G. There are two categories for the award. The October award is for a club member bringing in a new member during the month of October (Lions Membership Growth month). The Annual award is given to a club member sponsoring three new members for the year. I have Bumble Bee October awards for Lion Timothy McGlothlin of the Dalles Lions Club who sponsored Lion Charles Raleigh and for Lion Cheri Jackson of Weston-McEwen Lions Club who sponsored Lion Heidi Kincheloe. We Serve! Lion Alan Kendrick, Pendleton Lions Club member for 50 years; and Lion Elwyn T Wynn, The Dalles Lions Club member for 50 years. We appreciate their service! And, I tip my HAT to my fellow District Governor, Judy Kauffman. District R was mentioned in the February Lion International Magazine. Did you know 1,500 pounds of Dungeness crabs were served at the Yachats Lions Crab Feed this year? Put the last Saturday in January on your calendar and attend the Crab Feed next year! District 36-G was hit hard with below freezing temperatures throughout the area during most of January. Clubs were forced to cancel meetings and visitations must wait until spring thaw. Of our thirty-one clubs, I completed twenty-four visitations and I look forward to visiting the remaining seven. A visit to Arlington Lions Club on December 20th included a tour of their rifle range and the clay trap shooting range. The rifle range is open to the public. The range has a covered shooting area and ranges to and beyond five hundred yards. They have a club house with supervised shooting at the trap range. The Arlington Lions are actively organizing a High School trap club with other High School clubs in the District coming for competition. They are also sponsoring a 22 rifle club. Arlington Lions activities, before the Christmas holiday, included a fund raiser from the raffle of a pig purchased at auction. Hood River Eye Openers visitation was on the 27th. Their Centennial Project is the installation of loop technology in the Hood River Middle School. A hearing loop is a wire that circles a room and is connected to a sound system. The loop transmits the sound electromagnetically. The electromagnetic signal is picked up by the telecoil in a hearing aid and gives a clear connection to the presentation which cuts out interference. The hearing loop installation has received approval from Hood River School District. Lions from Hood River Eye Openers are intending to have installation completed in time for the Lions Follies. Lions in 36-G are selling ads and working on the 42nd Lions Follies. The dates include April 21-23 and 27-29. This year the theme is Superheroes including some from our neighborhoods. Kid Awesome is sure to appear. Also, you may be entertained with cameos from very popular superheroes. So - - be sure to mark the dates on your calendar. The Mid-Columbia Lions Follies is always fun and supports the Oregon Lions Sight and Hearing Foundation. Send in your registration and attend our District Convention on March 10-11. The theme is HATS – helping another through service. Be sure to wear a hat to the convention. You may receive a prize and you do not want a fine from our amazing tail twister! I hope to see you there. Lions are all Superheroes!!! Each and every Lion in 36-G is giving and serving. We are all so proud of the accomplishments of Oregon Lions!! Please make special note of March 10 and 11 on your calendar and attend our 36-G District Convention. Our speaker will be International Director Jennifer Ware from Rapid River, Michigan. DI Ware is a psychiatric nurse. She is a Brampton Township Days River Lions Club member and has held many offices including: Club Secretary, Club Director, District Governor, Council Chair, District GLT And Sight Preservation Chairperson. I had the pleasure of visiting with her in Fukuoka, Japan and look forward to her energy and enthusiasm. You will want to visit our convention in Hood River. We have many Centennial projects in 36-G. Sherman County Lions began the construction of two baseball fields and a soccer field on eleven acres adjacent to their new single campus school which services Moro and adjacent communities. 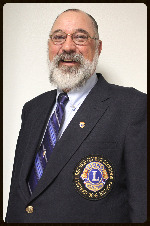 I submitted to LCI a matching grant application for Dr. Samuel Kimball of the La Grande Lions. Dr. Kimball and three other optometrists are forming a community vision clinic for adults and children with low income. Approximately 20% of Union County adults live below the federal poverty level and are in need of eye and vision care. The Community Vision Clinic currently has used/donated equipment. Additional information was needed by LCI. Now the grant application is on the way through the system and new equipment will be on the way. Our newly chartered Redmond Lions Club has increased to 25 members. 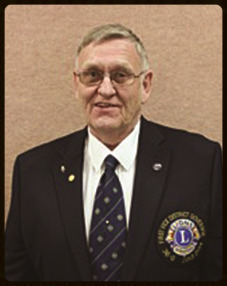 Zone Chairman, Lion Timothy McGlothlin is pursuing the possibility of a Lion's club in Boardman and one in Condon. His visitations are stimulating ideas for new clubs. (Thank you, Lion Tim) We will be starting a new club in Bend on April 2nd with the help of LCI specialist from Texas. (We must wait for warm weather when working with a Texan). The Lions of 36-G wear a variety of HATS and they spread the word to “Help Another Through Service”. Our new year is full of promise. working on their visitations. Clubs in 36-G are also preparing for the holidays. Three Sisters Lions are holding their Annual Holiday Faire from November 25th to December 18th in Sisters. If you are in the neighborhood, be sure to stop and shop. family for a day of skiing at affordable Fergi. annual Turkey Shoot. You should absolutely attend the Turkey Shoot if you were the winner of the rifle raffle! Ask any Prineville Lions Club member and they will tell you that their Tail Twister, Lion Jerry Pimentel, is fun and twisted. I ask you, dear reader, is it ethical to fine the visiting DG?? Throughout 36-G, Lions are completing vision testing in their local schools just as other Lions across Oregon are doing the same. Our united goal is testing every student this year. performing the induction and installation. He made the Charter Party special. Our new Lions are beginning their community service projects with energy and enthusiasm. We welcome the new Lion President Aaron Adams, the Lion Secretary/Treasurer Debra Knight and their 23 wonderful Club members. September gave me a healthy start on visitations. Do you know where La Grande, Umatilla, Hepner, Hermistan, Burns, Huntington and Pendleton are located? If not, I invite you to “ride along”. The La Grande Lions are beginning their annual Coats For Kids campaign. They collect new or slightly used coats and hold a two weekend event for parents and kids to shop the closet for a warm coat before the cold weather begins. A special congratulations goes to Lion H. Brent Lewis for completing 40 years as a Lion. Umatilla/Irrigon Lions received their Centennial Service Challenge award. They are preparing for their holiday festivities and Chili Cook-Off in January. PDG Roger Trueax completed 35 years as a Lion. Heppner Lions are working on their Centennial project – restoring and painting the school bleachers. President Dan Van Liew finished 15 years as a Lion. The majority of Heppner Lions members are volunteer fire fighters. Let’s cross our fingers that fire season is over. On September 24, I visited Hermiston Lions and attended the Don Horneck Memorial Banquet and Auction. Lion Don was also the OSU Extension Agent for the Hermiston area. The event was very well attended by local ranchers and farmers. Funds raised will provide a scholarship for a soil science major. Burns Lions welcomed me with a lunch. After their meeting I had the pleasure of visiting Lion PDG George Sahlberg’s Lion Museum. It is amazing! The next time you are in Burns, be sure to call Lion George and schedule a visit. Huntington Lions are currently partnering with their high school and helping students refurbish a paddle wheel for a sternwheeler they hope to launch on the Snake River. District 36-G chartered a new Club in Redmond. The new Club was one of 30 announced at the USA/Canada Forum. International President Bob Corlew issued a challenge for 100 new clubs before the Forum. Nationally, thirty Districts answered the call and we were one. A special thank you to New Club Specialist Ronnie Martin for his help and thank you also to Lion Sue Mose, Lion Gary Mose and Lion Elaine Johnson for staying the four days. It is an amazing new group of Lions we will be inducting. August came in with a roar and sent your four District Governors on the road. On August 4, I made my first visit to Weston-McEwen Club and Vice Governor Debi Castor. It was an honor to install the officers for 2016-2017. A special thank you to President Bruce Bugbee and the Weston-McEwen Lions for their hospitality. The first Cabinet meeting for District 36-G was held on August 6 in Rufus at Bob's T-bone and was well attended. The energy was high and clubs reported on their diverse Centennial Projects. On August 8, I visited the Elgin Club with PDG Gerald Hopkins and CC Steve Oliver present, it was very easy to give the presentation – they had my back! A special thank you to Lions Barbara and Daryl Hawes for the barbeque in their beautiful backyard. It was attended by 28 Lions. Lion Gary Brown was inducted. While LCI wants me to speak on the importance of getting new members for more service, it was nearly impossible when I installed the 63rd member for Elgin and my Hood River Lions have 65. Oops – the race is on. On August 31, Lion Elaine Johnson and I made a visit to Madras Lions Club. The members were preparing to distribute their American Flags along Main Street for a Memorial Day celebration. Between September 2015 and April 2016 we had three clubs turn in their Charters, including: Maupin (chartered in 1948), Pilot Rock (chartered in 1974) and Redmond (chartered in 2010). We are on the move to rectify the loss. LCI was contacted and sent a New Club Specialist, Ronnie Martin, on August 28 to meet with a team from District 36-G in Redmond. I enlisted Lions from Madras, Prineville, Bend, Crooked River Ranch and La Pine Clubs to attend his workshop. We canvased Redmond downtown on Monday, Tuesday, Wednesday and Thursday for future Lions. The 23 new Lions were provided a light lunch on Friday and they elected their President, Secretary, Treasurer and Membership Chair. It is a dynamic, excited group with friends that will be joining. A special thank you to Lions that helped meet and greet the new members and a special welcome to the new Redmond Lions. Ronnie Martin has revamped the LCI approach to forming a new club. I encourage every club to learn his system. It is a positive, dynamic way to form a club and a way to expand and energize your existing club. If you are attending the USA/Canada Forum, Ronnie Martin will be giving a seminar on Saturday, at 10am. I hope to see you there! Your four DGs have begun club visitations. We will make a few mistakes; however, we are committed to helping each Lion in our multi-district with our “New Mountains To Climb” challenge as we begin our second 100 years. We have four distinct themes. Our themes are united in our focus on service and the people we help. My theme: Helping Another Through Service is representative of the variety of hats worn by the Lions of 36-G who come together to provide service to those in need in our communities. We have Club Presidents who are: Ranchers, Farmers, Teachers, Sheriffs, Post Mistresses, Nurses, Lawyers, Artists, Chaplains, Orchardists, Merchants, Doctors, Computer Techs, Bartenders, and Athletes. We are united in service to the people we help. I recently installed as President of the Columbia Gorge Club, Lion Jessica Bennett, the acting Fire Chief for Cascade Locks fire station. A special thank you, Lion Jessica, for your service to your community and to your Lions Club. You wear a special hat. My first club visit was with Weston-McEwen Club and Vice Governor Debi Castor. A special thank you to President Bruce Bugbee and the Weston-McEwen Lions for their hospitality and for inviting me to install their new officers. I congratulate them on their construction of two foot bridges complete with hand rails at Camp Meadowood Spring for their Centennial Project. It is the 100th year for Lions International. The Lions logo features a Lion looking back at what we have accomplished in the past 100 years with 47,000 clubs internationally. And, our logo features a Lion looking forward to what is yet to be accomplished. The clubs of 36-G are working on their Centennial Projects in celebration. I look forward to visiting each club, learning about projects and celebrating as we move forward in community service. The Lions of District 36-G have enthusiasm and desire to serve our communities. It is an honor to serve with them. District Governor is a new hat for me; however, your support is amazing – thank you! Konichiwa. “Good afternoon.” Are you ready for our 100th year of Lions? The adventure begins!! Welcome, to all of the new Club Presidents and congratulations on your election. I thank you for accepting the position and look forward to working together. Your club members have confidence in you – this is your year. A number of clubs are already working on their Centennial projects. Amazing! It will be an exciting year and what a wonderful legacy 36-G will leave for our communities. A special thank you to my Hood River Club for all of their support and a special thank you to PDG Paul Zastrow for all the work he did on behalf of District 36-G during his term and for allowing me to ride-along during many of his club visits. The hospitality in Japan was amazing and gracious. I love, love the very “Oishi” (delicious) food. Elaine Johnson was my roommate and we explored the city sights and sounds, when I was not in class. Our room overlooked the Hakata River which disects the city streets. We could watch the activity along the river by day and by night the city lights were reflected in the water. Simply “Tanoshi “(enjoy). I attended classes the first three days from 8am to 5pm. Classmates included DGEs from Louisiana, Texas, Africa, India, Australia and Tasmania – plus the four of us from MD36. Our instructor was PID Brian Sheehan. Many of you met him at our District G Convention. He makes an intense study group fun. Our studies included: Motivation, Conflict Resolution, Teamwork, and Managing our District. I am very grateful to last year’s First Vice Governor training sessions by PID Sunny Pulley and PCC Joyce Anderson. I felt totally prepared for the DGE seminars at the Fukuoka International Congress Center. There is always conversation at International concerning increased membership. However, if each club brings in just one new member and maintains current membership, we will be a very healthy District. Our first 36-G Cabinet meeting is scheduled for August 6 (Saturday) at the Texas Steakhouse in Rufus. Please bring your ideas and be sure to wear a hat. I look forward to visiting with each of you during my club visits and attending your special events. Please, keep me on your mailing lists. I encourage you to call me any time and feel free to share ideas. A special thank you to my travel companions who made the long journey to Japan enjoyable: Elaine Johnson, DG Garry Charbonneau, DG Judy Kauffman, PDG Cy Kauffman, and DG Carol Brink. “Arigatoo“ (thank you). Let’s have fun! Time flies as the year as District Governor enters its last full month. Club visitations are about over, with second and third visits being welcome and fulfilling. Seeing the progress that clubs are making, that healthy new leadership is being welcomed by many and that new and exciting activities and projects loom on the horizon, all make Lions better at representing a positive force in their communities. Additionally, our new District Governor for the Centennial Year – 2016-2017 – Judith Poage is ready to lead, especially once her ‘education’ has been completed in Japan at the LCI Convention. I want to take time to acknowledge all our District leaders – the Committee Chairs, the Region and Zone Chairs, our PDGs, Club Presidents, Secretaries and Treasurers – all doing a magnificent job making District G Clubs and District the best in the state. Reflecting on our Convention – what a joy and, as well, an unusual but great place to hold a meeting! To all that helped make my year one to long cherish and remember – THANKS!! When you read this little ditty, the MD36 Convention will be a memory, the year’s Cabinet meetings completed and all we are left to ponder is ‘what’s next?’ A new year looms and more become involved in our Lions activities. Perhaps the year will give us new clubs, new Leos and new opportunities to make District G a better place to live work and play. I, for one, will not let up – nor simply fade into the woodwork. We have the Centennial Celebrations to work on – to create a Legacy Project in every community and club, all the while having fun and celebrating our 100 Year Anniversary. On a more personal note, I will again host Youth Exchangees from different countries – perhaps a Finnish boy, someone from Slovakia, a German and even one from the Netherlands. It will start in late June and go onward through the end of September! So – look out Oregon - we’re gonna travel and celebrate our own state’s great hospitality along the way. Will even do some work around the old homestead and do what needs done with my Lions Club – the EyeOpeners, with our 4th of July Parade and Fireworks, with cooking for a car show, the August Families in the Park and even the WAAAM Fly In air show. A trip to Omaha is in the works for September and then perhaps a trip to see friends in Europe! And they say retirement is for quiet times and relaxation! I wouldn’t know how to do that – and it would not be fulfilling. So – on to more life and my trusty mutt – Tucker will be with me most of the time! Lastly – may the powers be with you and may your dreams all become realities! Ten months into the Governor’s Year and what have we all accomplished? Collectively, probably a great deal in helping make our communities and clubs better places to work, play and live, but in the full scope of things I would imagine not a whole lot! Have we screened all kids for their vision? Did we do our best at making club members welcome and involved? Have we been aware of such programs as Youth Exchange, Quest, Lions Clubs International Foundation and Oregon Lions Sight and Hearing Foundation, or even Canine Services – and have we given each the attention it deserves? Centennial Chair, the latter being critical during this year of our 100th Anniversary Internationally! Also, take a gander at your accomplishments for the year – have you continued your best projects and activities and tossed away those that do not work? Have some been modified to make them better at helping your communities? And what new things have you started? Are you working with other organizations or groups? Always remember that doing so makes work not only easier, but also spreads around the work and the experiences that make Lionism so worthwhile. Recruiting others to help can mean gaining more Lions to your clubs as well. As this year as your District Governor wears down, I do want to say a great big thanks for the honor of having served as your DG. Clubs in District G have always been the best at welcoming and working. May our collective efforts be acknowledged and may we endeavor to do a better job in the future in creating a great place in each community to live, work and play. Tucker and I still have places to travel and people to see before the end of June. We know that our upcoming Governors will continue to try to do their best at making Lionism shine for everyone, and my plea is to give them the assistance that is heartfelt and truly deserved. District G had a tremendous Convention March 4 and 5 at the Discovery Center in The Dalles. PID Brian Sheehan had perhaps the most entertaining, up-beat and active speech I’ve heard at a Convention, all packed with the punches needed for those in attendance. Many thanks not only to our guests, Brian and Lori, and to all those in attendance, including first-timers, but especially to The Dalles Lions under the tutelage and directions of that masterful techie guru Tim McGlothlin, Convention Chair! As this year starts to wind down, it is time for all our clubs to be looking for that special person to become a Lion or to enhance skills and start on their leadership path via election to some office. April is the month for club elections – so, if it is appropriate for you, nominate a good Lion or volunteer your services to improve your club and be a leader! From Directors to Presidents are needed, as well as the difficult positions of Treasurer and Secretary! improve the lives of our communities and its peoples! My DG year may be in its waning moments, yet it is my fervent hope and belief that growth in the number of Lions takes place, that our activities and projects multiply and that each of us gets that warmth of satisfaction for doing a job that in some small measure demonstrates Lionism at its best. We need to open our hearts and minds to make the least of us better, and the best of us serve more; lest we forget as Lions our duty of being a servant leader must always remain paramount. Tucker and I are on the road to help you and your clubs have the success deserved; so invite us and we shall come! March brings the end of various District Conventions and the real prep work for the MD Convention in May begins! I hope that many clubs and good working Lions took advantage of attending their own District Convention and plan to attend the Multiple District event as well. The We Serve demonstrates what learning and sharing our strengths, interests and energies can accomplish. The District G Convention is either about to happen or is a fond memory of the immediate past. How time gets away from us. It seems, as we get a bit more experienced (never older), it marches by at warp speed! As a District we have lost clubs, lost and gained members and have several clubs needing assistance. With the help of great Lions with positive energy and hearts of serving, we shall endure these hardships! Let us each do what we can to encourage membership growth. In Sherman County, Lion President Geremy Shull has accomplished just that. He brought in seven new Lions this year to date. What a charge to induct four at his home on January 30 when the Club met for a dinner of barbequed tri-tip! We must remember that when we do bring in a new Lion, we may be changing the direction of our own club. We have to truly nourish our ‘cub’ to become what they want to be, a positive and reliable Lion in spirit, mind and action. Modeling what we stand for, giving the opportunity to serve and be heard is important for consideration. Think how we can make our communities better places to work, live and play. Then act on the how to make it better for all! We longtime Lions also need to learn more about the social media and its role in promoting Lionism. From Lions University and taking ‘classes’ to communication with each other though Face Book, twitter, email and other avenues, we can no longer plead ignorance of its importance. Our world, although seemingly large, is but an instant away. The younger generation understands that the world is a place not only to behold, but to experience! We must have the foresight to try to manage and embrace these changes as they come, and not to fight it as a battle. Along those lines, can we find the time or energy to host a youth from another country or even send someone abroad? Lastly, many thanks to those clubs who have hosted our visits and for those yet to come. Keep the fires burning. The camaraderie I see and experience at times is overwhelming, but always very rewarding to see what clubs do to make District G all it can be! February is the month denoting the love we all should have for family, our special and close friends and for mankind in general. Let this month be one when we are quick to recognize the love we all have for one another and make the effort to let each other know by word and deed how much we truly care! Dignity, Humanity and Harmony, three simple words that we must keep in mind whenever we accomplish our service projects, whether it be local, District-wide or even global. Allowing each recipient as well as volunteer(s) to have their dignity protected and recognized, humanely delivering assistance to those in need, and everyone working in harmony to care for the least of us will make us all better people in the long run. In this world of plenty, there is another world of want and necessity. Wanting to be safe, to have sufficient food and to have shelter from danger and the trials of inclement weather are needs that we can fulfill. Basic and essential, each want or need can allow us all too truly achieve what Lions have as their motto – WE SERVE! The District G Lions Convention is right around the corner. Reserve the first weekend in March (4-5) for your travels to The Dalles and the Columbia Gorge Discovery Center! This will be a time to reflect, to learn and to remember, as Lions from throughout the region come together and celebrate the possibilities that are ‘out there’ to learn, work and play making us better individually and collectively. We have a fantastic program of activities and opportunities for our newly inducted Lions as well as those unique folk who have experienced every office and/or position imaginable. So – register now to help make it even greater experience for all. The next several months will become busier – club visitations, conventions in each District, club elections, and even crafting activities that allow our service projects to be successful. What we do can be done better collegially, with many hands to hellp each of us to go that step further, to assist those in need more efficiently and better, and to make Oregon and District G come closer to that place it can be, the best place on earth to work, live and play! Let us each strive to recruit a new member and assist in building new clubs or renewing our own, to come up with a new twist on activities and service projects and to ensure our communities continue to grow in Lionism. Tucker and I shall go on down that road, hoping to visit your communities and clubs soon. So – let me know what we can do for you to help make possibilities happen. It’s a great time for making resolutions that we can keep and increase the probability of ensuring our communities become better places to live, work and play! The holiday season is over and winter truly sets in, although prognosticators indicate it will be warmer and wetter than usual as was the case with the first half of December, with a hint of snow and then all the rains! Traditional resolutions run the gamut of losing weight to exercising more to getting a better job and even cleaning up the yard, house or garage. Let’s see if we can create a focus on something else! Lions service projects that are a bit outside the norm can enhance clubs as well as neighborhoods. Christmas tree pickups, photos with Santa and the like are well and good, but with our imagination and dedication we can do much more. How about making new steps or a ramp for a person with disabilities? Maybe a club could take on serving Meals on Wheels one day a week or more. Even volunteering in the SMART program reading to elementary kids would make life better! The thing is we just need to buckle down and do it; make it happen and brighten up someone’s life! After all WE SERVE is our motto. Closer than one imagines will be District Conventions and 36-G is March 4 and 5 in The Dalles at the Discovery Center. Mark your calendars for a fascinating good time and experience Lionism at its finest! Our international guest will be Maurice Kahawaii from the Kona area in Hawaii, LCI Past International Director. Visitations to clubs are working out great and as much as possible I am accompanied by other District leaders, often VDG Judith Poage. Clubs welcome other Lions to attend and, with that in mind, how many of you are making visitations to clubs? It is a great way to pick up pointers and information on service projects, fundraisers or merely gain new Lion friends. It is time to look at the donations we all give, as clubs and/or as individuals to various causes. Have you donated to LCIF or OLSHF or to the different sponsored Canine Services groups? If not, please do so to keep their assistance to people healthy and on-going. Has your club or individuals considered sponsoring a Youth Exchangee for the summer or contacted a high school student who may want to see what the rest of the world may be like? Lions Youth Exchange Program is alive and on-going in Oregon. Lastly, open your hearts and homes to those less fortunate and always with the heart of a Lion! Tucker and I wish you all the best New Year possible and we’ll see you all soon. It is December already and almost time for the annual Christmas and New Year’s Day celebrations. Visitations are always a highlight for the District Governor and two clubs are stand outs. The Elgin Lions Club, with over 60 members in their small rural community (outside of La Grande), demonstrates that you can have a healthy and active Club that truly is community based. Then one of my real favorites has to be in Jordan Valley Lions Club. Although small in number, talk about a wonderful visit. They have a Cub program for younger kids and are now starting a Leos Club for eligible 12 to 18 year olds in their remote area. The Jordan Valley Club uses the kids to start their meetings with a wonderful flag ceremony and finishes their evenings with their youth cleaning up, folding tables and making their Lions Hall orderly! Holiday happenings do not mean that Lions must take a back seat. Instead, why not use the time to really celebrate by stepping up and honoring members and friends with a simple donation to OLS&H Foundation or to LCIF and doing so on their behalf! Then, work at your community food bank or other organization helping the less fortunate with serving dinners, giving Christmas baskets or even cutting firewood for a senior. There is a myriad of ways individual Lions and Clubs can help make their communities better places to live work and play! Dedication is the name of the game in WE SERVE! Club strength is not merely a measure of numbers; it is the interest in helping others that is a reflection of dedicated Lions everywhere. Ensuring that each person assisted keeps their dignity, that we work in harmony in giving help, and that each one of us is serving humanity. This is hitting on all three words of LCI President Yamada’s theme. Along those lines and using my theme Think Possibilities, we need to look at situations as potential solutions just waiting to be implemented, not as problems to overcome! So, want to make your communities better? Then think what you can do and work out a solution that tackles the issue and put your collective ideas and energies to work! I serve as your servant leader and seek your ideas and assistance to make our District all it can be! Wow – almost a third of the year has already passed and truly none of my plans have come to fruition yet. Be that as it may, travel to clubs and visiting great Lions throughout District G truly moves my agenda! It seems such a short time ago that I, along with other Oregon Lions, traveled to Grand Rapids, Michigan, to the USA/Canada Lions Leadership Forum. Despite terrible flights with late planes and juggled times, the Forum was great! There were many topics to choose from, as well as lots to engage in. We shall be addressing several of the ideas at our next Cabinet meeting in Bend on the 7th of November and I urge all Zone Chairs, Cabinet Officers and clubs to send a representative or two. One way to involve youth in Lions activities is quickly coming to a conclusion for the year, that is the Peace Poster Contest open to mainly junior high aged youth. Hopefully your club has participated and that young artists throughout District G and elsewhere are creating award winning diagrams and paintings! If we involve youth at an early age in volunteering time as well as competing in activities, the better the probability they will continue their whole lives and in the process make our communities better places to live, work and play. Lionism, in reality, does embrace our International Presidents theme of Dignity, Harmony and Humanity. We can do more on a local level to ensure that everyone can keep their dignity, no matter their circumstance in life. It is when we act, volunteer, work or engage with others that we do so with Harmony. Whatever we do, we must consider the impact we have on Humanity. Thus, make that attempt to make us all better human beings! The number one way to deliver all these concepts to a community is to ensure that our clubs are energetic, viable and fulfilling our obligations to self and area. To do that, we need members who are not afraid to shake the proverbial tree, to go further than before and even consider doing the unconventional. My theme – Think Possibilities - ties into this as well, but in order to succeed, we need more members, more clubs and outstanding Lions to come to the forefront! This year each new Lion and sponsor will get a special Centennial Pin denoting their special place for our Lions Centennial Celebration in 2017. Help District G achieve our goals and increase members, clubs and activities to really make a difference in our local communities! Until next month – I remain your faithful servant, along with my sidekick, Tucker! Two months into the year and things are starting to get busy. Of course, we all do more than just Lions things; jobs, family, other interests and perhaps even hobbies seem to get in the way or take a back seat to the business of a District Governor! That said, as DGs we are emissaries from LCI, our International President and for Lions Clubs International Foundation, as well as those activities that we sponsor as a Multiple District or through LCI. I am making up my travel itinerary and shall be putting on the miles! For those who do not know, last week I traveled to Baker City to meet their Exec. Board which was a mere 510.7 miles round trip from home out of Hood River. I will add even more miles this coming Monday to visit the Halfway Lions! These did not count as a visitation, but was necessary for doing what can be done to assist clubs having difficulty. In Lions news, let’s make sure we just DO THE ASK – recruiting members is still the number one method of ensuring we have the power to make the difference in our communities. Special pins and other recognition are offered for new members as well as their sponsors to help celebrate our upcoming Lions Centennial, so let’s get busy and bring ‘em in! Our Upper Valley Club Branch is about ready to take off and it is my feeling that within a year a fully-fledged club will be operating. We regret to inform you that the Redmond Club is now on Status Quo and will be dropped as their last member has transferred to another club. This means we are short by several clubs of the required number for a viable District, meaning we must get busy and work our tails off to comply! Lastly, let us not forget that there are tons of resources available through LCI, LCIF, our own Multiple District 36 and OLS&H Foundation. Please help make this a year to remember! The first District G Cabinet meeting is now over and we have several struggling clubs. We have identified other areas that will be the focus of our collective attention and have asked that clubs drop a line, email or call for any help that is needed. WE SERVE – to give the collective assistance of 1.4 million members in 210 countries and areas – with 740 plus Districts world-wide. Lions clubs start first with the individual member, the most important person when we consider the health of any club. Satisfaction in being a Lion must be paramount, meaning your needs are met and your ideas and interests are attended to. As the year gets started, I want each Lion to focus on what we do best – making our communities a better place to live, work and play. Keeping things fun and sharing the camaraderie of others will make for a better activity, project or meeting. District G has many needs – more members, more clubs and especially more communications helping make our lives meaningful. I am there to help, after all, my theme - Think Possibilities - will be carried throughout the District. Think Possibilities goes hand in hand with LCI President Yamada’s Dignity, Harmony and Humanity. So let us all strive to work together to make District G the best possible - empowering our members, doing whatever we can for our communities and keeping in mind the themes for the year. Dignity for all - with emphasis on those youngsters who may have lost hope and on individuals whose lives may be a far greater challenge than we can imagine. Work in Harmony – with each other, in our communities and with others to do good, while realizing that we must be humane in our actions and what we do reflects our commitment to Humanity! I will be contacting each club to schedule meetings for my “official visits” as well as welcome the time to just come and chat or volunteer. My hope is that we bring our energies up to meet the challenges and make this Lions Year the best ever. Mark your calendars so that your presence can be at our Cabinet meetings – scheduled for November 7th, February 13th and April 16th, which will be in Hood River helping support the Mid-Columbia Lions Follies. Of course, we challenge each club to come up with a ‘Story Board’ for our Convention – each board to be of the tri-fold variety, left panel for the past, center area for the present and the right side ideas for the future! Lastly, as I travel the District, I wish you all the very best and hope to cross trails with you often, for I am serving YOU, the Lions of District G! The new District Governors from Oregon and N. California flew to Honolulu for an intense three day seminar on becoming district leaders along with some 20 plus other Governors from the US, England, Australia, Sri Lanka and India, under the tutelage of Dr. Manoj Shah from Kenya. Starting at 8:30 each morning and ending around 5:30 in the early evening, we enjoyed the camaraderie of each other as well as the challenges that sit before us! Twenty-five other groups of incoming governors had similar experiences. Our ‘graduation’ was both a Grand Celebration on the lawn of the Hilton Hawaiian Village as well as the actual ‘badge’ tag removal at the last Plenary Session of the Lions Clubs International Convention. A parade of nations allowed both those watching as well as participating to see the customs and costumes of the various nations present. It was said that over 10,000 Lions walked the route – including some 40 from Oregon and the Hood River Leos Club! Hawaii, as well as in Oregon, is suffering from an unusually warm June – so hot and humid was the true order of the day! Newly inducted LCI President Dr. Jitsuhiro Yamada’s theme: Dignity – Harmony – Humanity: Dignity through Humanitarian service, especially for children; Harmony through Cultural Exchange and Joint Global Projects such as Youth Exchange, helping to increase understanding amongst the peoples of the world, increasing membership so more can do more service, acknowledging that members are the key to success and that a well-trained and articulate local club president is essential to succeed, realizing the “Ask One” program starts at home and is our collective responsibility and that LCIF is at the heart of restoring dignity, promoting harmony and serving humanity through service projects and grant awards! Space does not allow for a full coverage of these themes, so be sure to read the Lion magazine! My personal theme for the year is “THINK POSSIBILITIES”, looking both at the needs of our communities as well as our collective power to deliver to fill those needs! We are still at a crossroads – thus must ask ourselves – what do we stand for if not to make our communities a better place for us all to live, work and play in. LCI and the Lions of Oregon have a wealth of programs that we can take advantage of – so we will make this truly a better place! As I visit clubs and Lions I want to share some of the successes we have, the concerns that may be there and look at potential solutions that can move us all forward! If you missed the Convention this year, you really missed a great one. The committee of Janet Stafford, Bev Bridgewater, Debi Castor, Bob Guerrant and Steve and Kathy Oliver put together a wonderful weekend of fun and information. The group shared laughter in David Rich’s Tailtwister session, Wi boxing competition and music of Al and Colleen MacLeod. There was not a sound when keynote speaker Kim Meeder talked about her life experiences and the establishment of the Crystal Peaks Youth Ranch. For the first time in my memory, District G had environmental photos with 1st place going to Scott Ludwig of Elgin, 2nd to Janet Stafford of Elgin and 3rd to Roger Trueax of Umatilla/Irrigon. The story boards were wonderful and Baker City’s board will advance to the Convention in Seaside. PDG Roger Trueax came through with fantastic speech contestants, who let us know our world will be in good hands in the future generations. They were all wonderful, but Michael Shafer took home the largest scholarship. Bobbi Stoddart of Jordan Valley had her Cubs present for a session and also did a reading of “Rugged Old Flag.” It was great to have Sue Jaggers, originator of Angel Flight, on hand to discuss areas for expansion. Her program has not received national recognition, but reminds us one individual can make a difference. A special thanks goes out to Barbara and Daryl Hawes for the wonderful table decorations featuring “ringside” events. Another “thanks” to Governors Gail, Brad and Darrell for being good sports in the many activities we had during the weekend. The Events Coordinator Melody Miller from Wildhorse stated that this was one of the nicest convention groups to assemble in their halls, which was a plus for the Lions attending the event. Congratulations to Gary Mose of LaPine , who was given a Bumblebee Award by PDG James Stagl for sponsoring three Lions and to Bobbi Stoddart, Judith Poage and Debi Castor for receiving the International President’s Certificate of Appreciation from International President Joe Preston. Since we do have just three months left in this Lions year, I am asking that you not drop any members for the remainder of the year and work hard to obtain new members for our District. After all, it is a privilege to serve others. We have some wonderful clubs in District G that are doing great projects in their communities. I would encourage each club to get that information out to the local news media. It is important for the community to know what is happening due to the efforts of Lions. For smaller clubs, you may want to create projects with other Lion Clubs in the area or work with other organizations. You should have most of the information on the Convention March 6th and 7th at Wildhorse Casino. I would like to remind you of things we would have you consider. Please bring a basket with the theme of “Round Three” to be auctioned off to help with expenses. If you have not already done so, please send the name of the boxer representing your club at the “Main Event.” It’s not strenuous, so any member can represent you. There will be a trophy for the winner. Also, I would remind you to bring your story boards to be judged to compete against the other three districts. But plan for those boards to be used in your own public relation events as well. We would like to have you bring books to donate to the local school and they should be at the preschool/primary levels. If you have pull tabs, we will have an area set up to collect the tabs for the Ronald MacDonald House for families of cancer victims. We will have the peace posters on display, as well as winning environmental photos which will go on to the Multiple District competition at Seaside. Our environmental chair, Blake Marlia, has received some photos for competition this year. His committee will be selecting the top three winners. Our keynote speaker is Kim Meeder from the Crystal Peaks Youth Ranch and her presentation will touch your heart. The committee is encouraging you to dress up for the 50’s time period to dance to the music of Al and Colleen Macleod on Friday night. They are performing due to many Lion requests. I would like to thank our Convention Committee of Janet Stafford, Bev Bridgewater, Debi Castor, Steve Oliver and Bob Guerrant for working to put the convention together. Excitement is starting to build for the District G Convention to be held at Wildhorse Casino March 6th and 7th. A registration form is in this edition of The Oregon Lion. Please plan to attend. We do have some scholarships available for first timers. Just send a note to me and I will place the names in a drawing. Also, I am reminding participants to bring a basket with the “knockout time” theme, as well as primary books to go to the Nixyaayair School. We will try to have a school representative attend or deliver the books during the Convention. We would also ask that you bring any pull tabs for the Ronald MacDonald House for families affected by cancer, your story books depicting club activities, and donations for the Sight and Hearing Foundation. One of the activities which should be fun is a friendly boxing competition (WI boxing). We need the name ahead of time of who will represent your club. This activity will run Friday and Saturday. Congratulations to the winners of the District G Peace Poster Contest and all who participated. Our first place went to Genevieve Martin of Hermiston’s Armand Larive Middle School, second place was Jennifer Alvarez with the Hood River Mid-Columbia Adventist School and third place was Silva Sankan of Hood River Middle School. If your club did not sponsor a Peace Poster Contest, please consider it for next year. It is amazing and heart-warming to see the effect Lions are having on their communities. Each club is different and the activities vary, but always carrying a theme of “We Serve” no matter how large or small the club might be. You Lions are making a difference. I just made a second visit to the Union Lions Club and noted they netted $2,100 from their basketball tournament. That money will be used for scholarships. The Club also has a reserve fund of $1,097.67 to help with diabetes. Talk about making a difference! Right now the membership is small with the Maupin Lions Club, but they put together 86 food baskets for those in need and visually screened their elementary students. Let’s talk again about making the difference in your communities! Congratulations to the following Lions Clubs for your donations to the Honor Flight Program: Crooked River Ranch, Elgin, Huntington, La Pine, Madras, Mitchell, Bend, The Dalles and Sisters. Your donations totaled $3,382.45 to send veterans to Washington DC. Happy New Year! It’s a time to make resolutions and try new ideas. Why not include a resolution of adding new members to the club. Through expanded membership, a club is able to do more projects and serve those needing assistance in our communities. I talked to our Environmental Chair, Blake Marlia, and to date he has no entries for the environmental photo contest. I would encourage you to take some pictures of the beautiful scenery we have in our district and forward those pictures to Blake. He is also recording any planting of trees in our District and should you do this project, please call Blake to let him know how many trees have been planted. We still need entries to the Youth Speech Contest. Roger Trueax related that he does have some scholarship money available for the contest, so we need the names of those entering by February 10th. They will compete at the District Convention, March 6th and 7th at Wildhorse Casino in Pendleton. This is a just a reminder to have your story boards ready for the contest at the Convention. We want to have some great entries for our competition with Districts O, R and E.
Our hero list of sponsors continues to grow. They have helped to increase the membership in District G and they are: Gene Hardy, Steve Oliver, Russ Paddock, Steven Stacy, Bobbi Stoddart, Heather Phipps, Donald Henderson, James Bishop, Jeff Nelson, John Leonard, John Pasma, Donald Nachtwey, George Sahlberg, Harold Fox, Shirley Fox, Mark Dearman, Raina Taylor, Elaine Johnson, Brad Albro, Gary Mose, Debi Castor, Patricia Reinhart and Cheri Jackson. I also want to remind members that I am tagging on to International President Joe Preston’s theme of “Ask One,” and will give a banner patch to each club with 100% of the membership asking one member to join. All I need is a phone call from the President guaranteeing that 100% of the membership has asked at least one person to join. There is a definite concern I have with the growth in our District. Currently we are three clubs short of the required 35 and membership is down about 330 members from the required 1250. We have a lot of work to do to make ours a viable District. It starts with each Lion following IP Joe Preston’s challenge of JUST ASK ONE. But we can not stop with one. We need to continue to take in new members. With more members, we can help more individuals through our service projects. This is what makes our Lions unique. “We Serve” is the core of our organization. To this end, I am tagging on to Joe Preston’s theme of “Ask One,” and give a banner patch to each club with 100% of the membership asking one member to join. All it takes is a phone call from the club president guaranteeing that 100% of their members have asked at least one person to join, and I will send a patch. Here are some of our heros who have added new members: George Sahlberg, Dennis Mahoney, Alan Scott, Russ Paddock, John Taylor, Richard Hollenbeck, Bruce Bugbee, Gary Mose, Charles Bugge, Samantha Verschuren, Judith Poage, Tammy Walters-Schaaf, Jennifer Miller and Robert Gengtson. We also lose many members during the Lion year. If we could just stop the exit of members, we could build our numbers. I am asking each club’s membership chair to follow through and find out why an individual Lion might not want to renew membership. Don’t scratch their names from the roles. Perhaps there is some issue that can be addressed through discussion. Perhaps there is a new project that a member would like to see started within the club. As a team we are encouraging club members to make a visit to another Lions club. Aside from the information that can be obtained and the visitation contest recognition, good fellowship and new friends are a part of the special rewards. Exchange ideas and possibly work on projects together. The doors are wide open. I had a full column written to send, but decided to pass on what I had written after hearing a poem read by Past President Jenney Lymp of the La Pine Lions Club during my recent visit. Lion Jenney read it with such compassion that I know it touched her heart as it did mine. It is written by Lion Ron Newsome, President of the Illinois Foundation. Have you ever thought what life would be with eyes that cry but cannot see? No clothes on his back, no shoes on his feet. It’s time to ask if you are that Lion. Are you willing to serve others in need? Are you willing to spread the good news of our motto “We Serve” to others and invite them to be a part of this great organization? Are you willing to follow International President Joe Preston’s challenge of “Ask One?” I want to encourage your club and I will have a recognition for each club (patch or plaque) where every member has asked one individual to join. All I need is a call from the Club President stating that every member in their club has asked another person to join. It’s great to see we have 30 new Lions come into the fold. But then I see 41 Lions have been dropped. We really need to have the membership chairs go back and talk to those who have dropped. Find out if there is something more they hoped to gain or why we haven’t met their expectations. Thanks to all of you who give your time to serve. Each act of kindness touches the hearts of others. There is a definite concern I have with the growth in our District. Currently we are three clubs short of the required 35 and our numbers are down about 330 members from the required 1250. We have a lot of work to do to make ours a viable district. It starts with each Lion following International President Joe Preston’s challenge, JUST ASK ONE. But we cannot stop with one. We need to continue to take in new members. With more members, we can help more individuals through our service projects. This is what makes our Lions unique. “We Serve” is the core of our organization. We also lose many members during the Lions year. If we could just stop the exit of members, we could build our numbers. I am asking each club’s Membership Chair to follow through and find out why an individual Lion might not want to renew membership. Don’t just scratch names from the rolls. Perhaps there is some issue that can be addressed through discussion. Perhaps there is a new project that a member would like to see the club start. As a team we are encouraging club members to make a visit to another Lions club. Aside from the information that can be obtained, and the visitation contest recognition, good fellowship and new friends are a part of the special rewards. Exchange ideas and possibly work on projects together. The doors are wide open. It is heartwarming to see the impact we are having on communities. Many of the clubs are involved with vision and hearing screening for school students. At those events, there are community volunteers and school staff. Why not give them an invitation to join? The Columbia Gorge Lions just finished up Sternwheeler Days. The Club worked with community volunteers to make the event happen, and the entire community benefitted from the project. I have been a member of Lions since 1973 and I still get excited when I see what Lions are doing for others at the International, State, District and local levels. I only wish I could pass on the excitement I have with others, because I know of no other organization with the simple motto of “We Serve” and the joy of helping others needing “a hand up”. Somehow we need to roar out and let others know what we are doing and we need to have “hands on” projects in our clubs to experience the true feeling of becoming a Lion. The area of projects will be my emphasisduring club visitations. International President Joe Preston from Arizona encourages us to “Strengthen the Pride, through membership, leadership, technology, fellowship, and service”. I believe that the more we serve, the more people will want to be involved with our organization and the more growth in membership we will experience. But we also need to put that information out through local media or personal contact. President Joe Preston’s membership program is called “Ask 1” and he is encouraging each Lion to ask one person to join. But also we can reach out to others by handing them “The Act of Kindness” pin that Club Presidents received for their members. Some of my goals for the upcoming year include: 1) In addition to the Branch Club, add two more clubs. We need the 35 clubs in our District to maintain a viable District within the Multiple District; 2) Have a Youth Speech Contest or Peace Poster Contest. Contact Youth Chair PDG Roger Trueax of the Umatilla Lions Club. The Peace Posters should be ordered from International by October 1st; 3) Have each club implement projects that include high school or college students; 4) Participate in the Environmental Photo Contest, collect can tabs and work toward the planting of 100 new trees in MD36. I would ask you to report your efforts to Blake Marlia, Environmental Chair of the Baker City Lions Club; 5) Make meetings fun. It’s up to the Club Presidents; 6) Have a net growth of 20 new members in the District to increase service projects. The individual sponsoring the greatest number of members will be treated to a Bed & Breakfast on the Coast and the greatest percentage gain by a club will be treated to a breakfast (or other meal) by the Elgin Lions; 7) Support the “Random Acts of Kindness” program; and 8) Attend our District or State Convention. The District Convention is scheduled for March 6-7, 2015. You need to add this date to your calendar. It promises to be exciting and something you will not want to miss. I just returned from the International Convention in Toronto. How thrilling to again witness Lions meeting and sharing ideas from 209 countries and territories. For those who have not experienced an International Convention, I would encourage you to consider doing so in the future. It creates a stronger Lion and a view of the difference we are making throughout the world. For those who have leadership roles at the club or cabinet level, you might want to consider attending the USA/Canada Leadership Forum, Sept. 11-13, 2014, in Puerto Rico. I am beginnning my term by thanking PDG Bill Burley for his tireless work in reaching out to the Lions of our District and setting an example of the true Lion spirit. PDG Bill “planted the seeds” in each of the visits regarding the possibility for a Branch Club of only five members and as a way to expand membership within District G. One of my goals is to have a Branch Club in honor of PDG Bill. I encourage all of our clubs to consider projects for the calendar year. You don’t need to accept all the action campaigns, but consider engaging youth in the month of August, plan vision health projects in October, organize food drives or hunger projects in December, sponsor projects to protect the environment in April and collect cans for the Vets to visit Washington D.C. in July. The Governors encourage you to collect pull tabs, which will help collect funds for the Ronald McDonald House for families of cancer victims. Throughout the year, picture your activities on a story board (tag board), which will be judged at our convention, with the winner to compete against the other three Districts. Next month’s issue will list my goals for the upcoming year. It is hard to believe that I have had the privilege of serving as your District Governor for an entire year. It is almost time to pass the bell and gavel on to our new incoming Governor, Lion Gerald Hopkins. I do not have words to express the respect I have for each and every Lions Club member I have met. Every club and each individual Lion is unique, but the one thing we all have in common is our strong desire to serve others. It takes a very uncommon person to pay dues in order to have the opportunity to serve others. It almost goes against nature itself! With that said, there is an old story about a man complaining about the cost of his shoes. Then one day he met a man who had no feet. As I traveled across Central and Eastern Oregon visiting clubs, both large and small, I noticed there are many towns and communities that have no Lions Club at all. Imagine if you will, how it would be to live in such a place. Imagine all the lost opportunities. Imagine living in a community with a Lions Club, but never being invited to become a member. The man complaining about his shoes couldn’t do much for the man with no feet, but I can tell people about Lions and explain our motto. I will invite someone to become a member. Lions do make a difference, so, God bless us, everyone! WOW, here it is May already and once again I’m pressed to talk about the Lions Club Branch opportunity. Many of the clubs I have visited know me as “Billy Lions Club Branch Seed”. Just like Johnny Apple Seed went around planting apple seeds, I have been planting Club Branch seeds. Johnny didn’t tell the seeds how or where to grow, he just spread the seeds. In following Johnny’s example, I believe that in due time we will see a harvest. Why is getting new Lions members so important? We know that individual clubs need new members to keep community projects alive. Lions clubs need new members to help raise money for our Sight and Hearing Foundation. 100% of designated funds go to accomplish whatever it is designated for. Not one designated donated dime is used for administrative costs. So how do Lions exist? Through membership dues! To cover administrative costs, it is recommended that a District have a membership of 1250 members. So you are aware, District G is under 1000 members. As Lions provide assistance and services, it’s important to keep our dues as low as possible. The Club Branch is one way to think outside the box. Our Convention is over but not soon forgotten. Those that worked so hard to organize the event graciously demonstrated the Lions motto “We Serve” and asked only that attendees enjoy the fruit of their labor. I want to highlight a select few and applaud everyone, including the management and staff at Kah-Nee-Ta Resort. Thank you, Lions Jim Wilcox and Tim McGlothlin of The Dalles Lions Club, for entertaining us with inspirational songs and bringing Karnack the Magnificent. Jim, your ability to bring laughter into the room was as refreshing as “A Spring Freeze”. Tim, the Technology Forum was, at times, literally “out of this world”. To learn about 3D printing and to hold an actual replica of Abraham Lincoln’s face in our hands was amazing. Even more amazing was the opportunity to learn how today’s technology can help our clubs show thousands all around the world how Lions serve and genuinely care. Cabinet Secretary Trudy Tallman and GLT Chair Bev Bridgewater for providing Informational Forums for Club Secretaries, Vice Presidents and Presidents. Knowledge is the beginning of wisdom. PDG Mary Lee Turner, your interactive session on “Our Voice in the Dark” was truly eye opening to those of us who are not sight-impaired. Thank you for teaching us to appreciate the world from another perspective. Zone Chairman Jay Nordin and the Crooked River Ranch Lions for organizing the “Back To School Supplies Drop-off” for the Warm Springs Indian Reservation K-8 kids. Thank you to all Lions who traveled far and near, especially Lions from District O and our Oregon Lions Sight and Hearing Foundation. A very special thank you to our Special Guest Speaker. New York Times best selling and award winning author Jane Kirkpatrick. Jane, through her inspirational words, gave CREDIT where “credit” is due. You needed to be there to understand this wonderful acronym. Credit is a source of value that we can draw on anytime we are lacking something, such as using a credit card when funds are short. But unlike the credit card, Jane will never charge interest when we withdraw inspiration from the six wonderful inspirational words she shared. Forever I thank you. I went out after the big snow to start my tractor and plow my half-mile lane, but no matter what I did my little 9N Ford didn’t want to start. It would crank over, but eventually began to crank slower and slower. The snow was getting deeper and deeper and I knew if I didn’t get it started soon I would be in trouble. I got my Suburban and jumper cables and this started me thinking… connect positive to positive and negative to negative, but without positive and negative there is no power. I had a little situation just a few days ago that I would like to share. I’m a very positive person and I like to surround myself with other positive people. However on this particular occasion, I found myself in the company of a very negative person. Another person was listening to our conversation and, meaning well, told the negative person to shut up because they had heard enough of his negative comments. I assured the person that it was OK and that I wanted to hear his thoughts. Some of what he was saying began to make sense and it helped me rethink some things. After the jumpers had been in place for a while that little 9N Ford fired right up and I got all the snow plowed off the driveway. The moral: Being only positive can make things negative, while positive and negative, working together, can equal Club Membership Retention. As I reviewed the 2013 year-end membership report from Lions International, I am reminded that men and women of faith should not walk by sight. Only by faith will we continue to plant seeds for membership growth and believe that there will be a time of harvest. No person can hurry the growth of winter wheat that has been planted and I cannot hurry the seed that is being planted when I share the "Club Branch Program". I have faith that once the program blooms it will bring about one of the most exciting membership harvests ever. I am pleased to announce that our convention team is busy making final preparations for the District G Convention, which will be held near Warm Springs at the Kah-Nee-Ta Resort March 7-8. I was hoping to host our 2014 Convention in La Grande at Hot Lake Springs but in early November we received the following correspondence "due to the increased number of requests for groups and events, Hot Lake Springs is booked for the 2014 year and can't accommodate an additional event of your size". I believe when one door closes there will always be a better one that opens. Our convention team found that door and now we are going to have one of the best conventions ever with motivational speakers, entertainment, awards, good food and wonderful Lion fellowship. Kah-Nee-Ta means, "root digger''. March 7-8 we will "dig" into our Lion "roots" and be refreshed with laughter and joy. The winter season is fully upon us but my heart is warmed knowing so many people genuinely care for others. Lions do not get the recognition they deserve for the service they provide, not only during the Holiday Season, but also all year long. With a New Year on the horizon I find myself looking back on 2013 and I’m treasuring the privilege it has been. Every club I have visited has expressed and demonstrated how important the motto “We Serve” is to them. Through fellowship, strong character and purpose, the true meaning of citizenship is being demonstrated very well throughout our District. When the founders adopted the name “Lions” for our organization it was not a random thought. Four outstanding qualities were considered: Courage, Strength, Activity and Fidelity. The lion symbol has long been a symbol of Fidelity throughout the ages and it stands for Loyalty to a friend, Loyalty to a principle, Loyalty to a duty and Loyalty to a trust. Our emblem inspires me and, I hope, you also as we enter the New Year. The two Lion profiles on our emblem are facing away from each other; one is looking to the past and the other to the future. As we look back, I want to encourage us to have no regret because our past is a source for knowledge. As we look forward, we should have no fear because the future is our destination that is filled with promise. I have been busy visiting many of the wonderful clubs in our vast district and meeting some of the greatest people in the State of Oregon. In the past months I have shared information about the “Club Branch Program” and I am asking clubs in our District to visit www.lionclubs.org to learn more about this membership building program. This month I would like to share with you another program that could be equally important. It is called “The Club Excellence Process” or “CEP”. With the help of a facilitator this program helps clubs answer four very important questions. 1) Why Are We Here? 2) What make an Excellent Club? 3) How can We Determine Our Communities Needs? 4) What Can We Do Next? The program is usually delivered in four one-hour sessions but can be altered to fit the schedule of your very active club. Lion PDG Bev Bridgewater is currently very busy working as a facilitator as several of our clubs have signed up for the program. I want to congratulate her and the clubs for participating in this fantastic program. A participating club will look at its community’s needs; take a survey on their membership experience; use resources and develop action plans. This program is designed to strengthen and encourage clubs to be the best they can be. Upon completion each Lion will receive a letter of completion from our International President, Barry Palmer. Clubs interested in participating can contact Bev Bridgewater or me. To learn more visit www.lionclubs.org. Here it is November already. The time to think back on all the things we are thankful for. As I have begun my visitations in earnest, I am becoming more and more thankful that I am part of such a diverse and wonderful organization. I’m learning that the Lions motto “We Serve” is truly the glue that bonds so many hearts worldwide. I am amazed by the fact that this simple motto, once taken to heart, can accomplish so much. Clubs have many projects, all as different as culture, region or country can make them. We are part of a global network, doing whatever is necessary to help our local communities. Let’s remember service begins with each of us. District G Clubs are a part of the backbone of our organization and they all carry on a great heritage of service. I am thankful for the compassion and willingness of each club to reach out to the less fortunate, especially during these economically challenging times. I have heard how even small gestures, at the right time, have meant so much to someone. By making themselves available, members have run errands, provided transportation, read to children, fed the hungry and provided sight and hearing assistance for those in financial need. These are just a few examples of what club members in District G are doing. One of the main goals of a District Governor is to encourage membership growth in his or her district. I’m asking clubs in District G to consider the relativity new “Club Branch Program”. Club Branches enable a small group of people to form a Lions club. Members become part of an existing ‘parent‘ Lions club, but hold independent meetings and facilitate their own projects. Club Branch’s elect a president, secretary and treasurer. A 5-member minimum is required to form a new Club Branch. A member of the parent club is designated to serve as a Branch liaison and on the Branch’s Executive Committee. The Branch liaison attends Branch meetings and is a helpful advisor to ensure Branch growth and success. Additionally, the Branch liaison is automatically a member of the parent club’s Board of Directors and reports the activities of the Branch during board meetings of the parent club. Regular entrance fees and international dues apply when joining a Club Branch. When the Branch converts and charters a new club, Branch members in good standing receive a charter fee waiver. The parent club secretary signs and submits the Club Branch Conversion Form (CB-21) to certify transfer of membership. To learn more visit: www.lionsclubs.org. In the search box type “club branch program”. I believe this program is a wonderful opportunity for us to expand and extend Lions in District G. If anyone has ideas, suggestions or questions, please give me a call. Lions have been helping people since 1917; that year, Melvin Jones, a Chicago businessman, encouraged his Club, the Chicago Business Circle, to go beyond promoting good business practices. He convinced the members that selfless service to others would create a better community and a better world. Melvin Jones also saw that a network of clubs working together could do much more than individual clubs acting alone. He invited similar groups from around the United States to a meeting on June 7th, 1917, in Chicago, Illinois. The new group assumed the name of one of the invited clubs and the Association of Lions Clubs was born. Today Lions are serving all around the world, but we seem to be serving our own communities in our own special way, which is all right, but I’m haunted by something that our founder, Melvin Jones saw. He saw that a network of clubs working together could do much more than individual clubs acting alone. I think about the farming and ranching families that are meeting at grange halls or the ladies tea and quilting groups that meet for a Wednesday social. Could they be a possible “Club Branches” opportunity? With a little imagination, and round table discussion I believe we could identify many small groups in and around our existing clubs who would benefit greatly from being invited to become Branches of our existing clubs. Melvin Jones showed us how he grew Lions; he invited similar groups to unite in a dream. District G Knights for the Blind! Hello fellow Lions! What a great privilege it is going to be for me in 2013-14 to serve as District Governor. During my time of training I have met so many wonderful positive people. I have discovered that our leaders and trainers are truly dedicated Lions living the motto, “We Serve”. My slogan for this coming year is “OPPORTUNITY IN UNITY”. I look forward to sharing my vision with you and I look forward to hearing from each of you. I am not an overly educated man. I know what I know yet more importantly I know what I don’t know. Therefore as I travel across this vast District I will be on a quest searching to bring a vision for hope and a better tomorrow to fruition. One question that I believe every 36G Governor has asked is, “How can I shrink this District?” There are so many great people serving communities in majestic mountains, lovely low valleys and colorful high desert but tough economic times have isolated many of our clubs. I’m here to assure us all, no matter how isolated, no Lions Club in the world is ever alone, and we are over 1.35 million members strong and growing.